Food Patriots is looking for volunteers nationwide to start conversations about food that inspire everyone to make a 10% change in the way they buy, eat and talk about food. 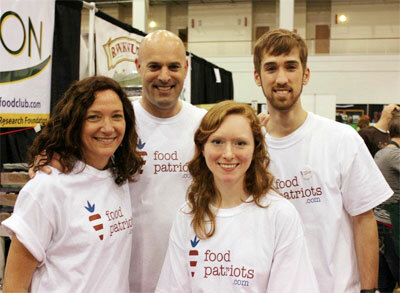 Take Food Patriots to farmers markets, music festivals, university campuses, schools and workplaces to help get more people to join Food Patriots. Help sign up new members, educate consumers to join this consumer movement to change the food system one purchase at a time. Use your creativity to bring Food Patriots to your neck of the woods. Document (film, photo, blog) inspiring stories of things large and small that people are doing in your community to make a big impact towards a sustainable, healthy food system. Post them to the website and help us spread the word through social media. Host a discussion, start a local Food Patriots group, and help raise awareness and donations to spread the word and educate the next generation that its not rude to ask about food. © Groundswell Educational Films, 2019 Login.